Despite customer outcry, Starbucks is gearing up to launch its new rewards program on Tuesday. Starbucks Rewards (formally known as My Starbucks Rewards) will be based on how much customers spend in the coffee shops, not how often they make purchases. So starting Tuesday, instead of earning one star per visit, members will earn two stars for every dollar they spend. Members will now have to earn 125 stars (or about $63) to get a free reward. Under the old plan, it took 12 stars. 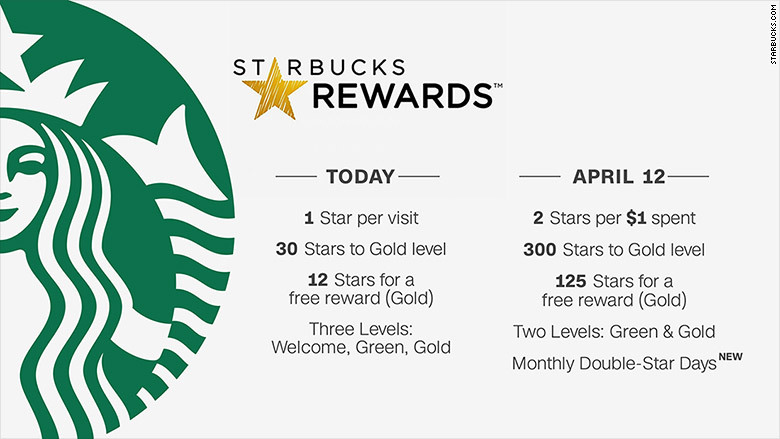 Starbucks drinkers will now need to earn 300 gold stars to get upgraded from Green level to Gold, which brings additional perks, like periodic free drinks. It used to take 30 stars to gain Gold status. That means customers who spend $2 on their coffee will have to spend $90 more to become a Gold member. The Seattle-based company announced the change on February 22 in a blog post, saying the change was the top request from customers. But the change didn't sit well with customers, with many complaining that it will take them longer to earn rewards. 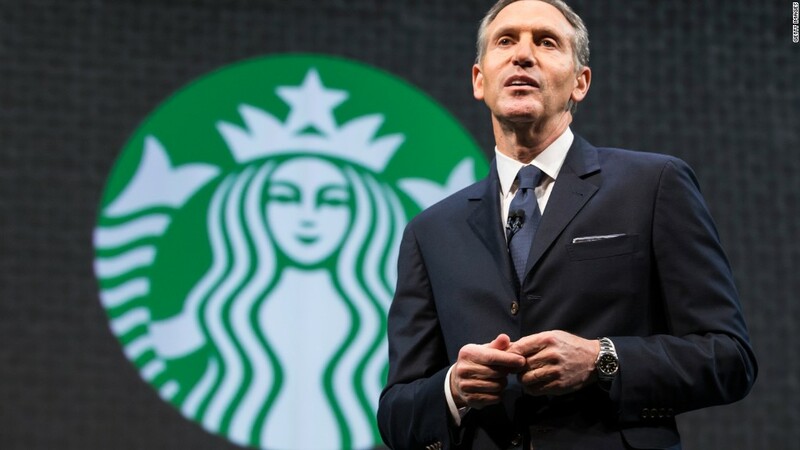 Two days after it announced the new program, Starbucks (SBUX) clarified the changes, claiming "the vast majority of you will earn rewards just as fast, if not faster." So far, more than 500,000 people have signed up for the new loyalty program, according to the company. The company warned customers Monday to expect some hiccups to its app and website, including incorrect reward accumulation information, as it prepares for the rollout. The new program also applies in Teavana and Evolution Fresh stores. The change brings one new benefit for gold member customers: Double Star Days. Once a month, members will get four stars for every $1 they spend. The changes may sound familiar to some consumers. Airlines have been making similar changes to their frequent flyer programs. Last year, American Airlines (AAL) announced passengers will now earn points based on ticket price instead of distance flown.